When we first thought of starting the “UPSC Toppers Interview” at www.clearias.com., the first name which came to our mind was that of Lipin Raj M.P. It’s tough to describe in words, his journey into the prestigious Indian Civil Services, fighting against odds and braving the bitter truths of life. His story is more dramatic than any super hero film. He has conquered the toughest examination in India making way into the power corridors, but is still humble and down to earth. Lipin is a big motivating factor not only for Civil Services aspirants but every one across age barriers who is afraid to dream big. Lipin was in Class 4 when a silly act of one of his friends at school cost him the sight of his right eye. A sharp object thrown by a friend seriously injured it. Lipin Raj braved an alcoholic father and fought hunger. With only 40 % eyesight he passed 10th and 12th examinations with top honours. 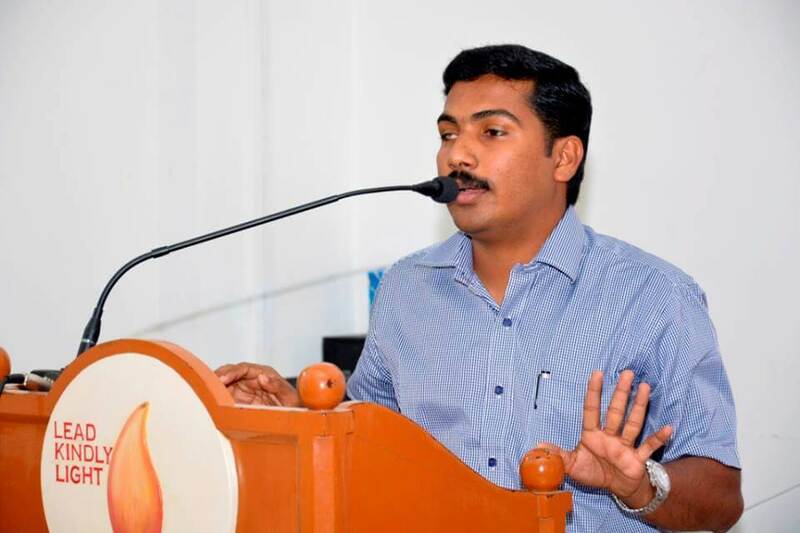 To fund his studies, he took up the job of a part-time correspondent in a Malayalam daily. Later, he grew from a clerical staff to Probationary Officer (PO). He did his masters. 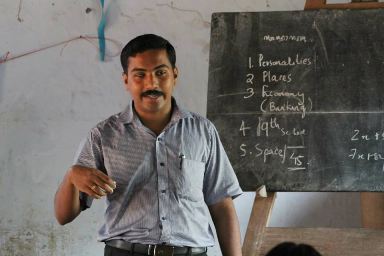 The real surprise came when he secured the 224th rank in the Civil Services Examination (CSE) 2012. No! Not over! His story and journey continues. With a better vision than most of us. Being a writer with an emotional heart, Lipin tries to re-visit the hard experiences and the result is an awesome piece of writing. ClearIAS.com on behalf of all our readers salutes the indomitable spirit, and thank Lipin for the pain and effort put to pen down this long transcript in-spite of a busy schedule. Now, let the interview talk. 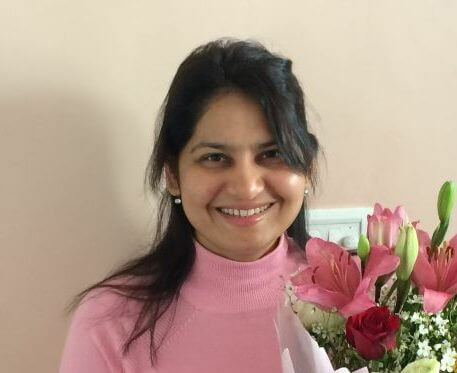 ClearIAS.com: Dear Lipin, Can you tell us how you did you come across the idea of writing UPSC Civil Services Examination? Was it your childhood dream? Once after winning an essay competition my teacher asked me “What do you want to become?”. I answered that I wanted to become a microphone operator, who was the attractive face of our school annual day celebrations during my school days. Then I told her that I want to be a journalist!!! Later, after working as a journalist for few years, the idea of writing Civil services Exam came to my mind. ClearIAS.com: We have heard your story through various media: television, internet and newspapers. It’s very touching and highly inspirational for every single soul on this planet and not only for those who prepare for this exam. Can you brief our readers about the struggles you faced, right from childhood? These struggles would help you to frame your dreams and rejuvenate the way towards career goals. Also we can positively use these experiences to serve the people better. When I faced several administrative delays, though I was little worried, now I could understand what people were thinking inside their mind while coming to my office. My concept is that, only the government can do better things for its people rather than any institutional mechanism. This system is smoothly running for past 7 decades, though some challenges, delays or drawbacks are there. If there is a problem, we have to fix it immediately with preventive checks. In my personal opinion, from childhood, I availed govt. facilities like merit scholarships, govt. subsidies and various benefits. Thus I believe it is unfair to at the same time blatantly criticizing the government. ClearIAS.com: How did you feel when you heard the news that your name is in the final rank list? Can you share the moments of happiness with our readers? When the result came, one of my friend Mr.Sandeep, who is ever ready to update every news to me at once, called in morning and informed me that my name was there in the list. I did not share this news to anyone except one person. Then I went to my security cabin and shared this news with the security guard V P Singh who was very close to me and inspired me a lot to become a civil servant. I started to roam around the bank and started to download the result from upsc website. However the internet wasn’t working. So I went to Hotel Aryas and had a cup of tea. When I came back, people from Mathrubhumi channel were waiting for me. Later when the media found my name, I got many calls and as a result my mobile got switched off within 45 minutes as usual!!! ClearIAS.com: Were you a person who studied alone or are you a person who favor the combined-study approach? If you are comfortable with a group, then continue with it, if you are an introvert, make your study room as your world apart from the reading rooms. We created a group of 5 on facebook as a closed group known as ‘team civils’ which again gave a push for preparation. My advice is : Why are you keeping social media away from you? Being a part of it, you can prepare for this exam. Don’t think that civil preparation is like living in a single room preparing for 12 hours and reading thick books !! ClearIAS.com: Can you elaborate on your preparation strategies/approach and study materials/books used for Prelims and Mains? Learn as much as possible about the syllabus, the pattern of the examination and tips from previous batch-mates. Start to interact with them and take their outputs and preparation strategies. Find your own way of preparation and enjoy this line of living from your joining to till probation. Follow newspapers and news analysis magazines and write answers and later give it to a subject expert to evaluate. ClearIAS.com: What was/were your optionals? Please give some insights on your selection of optional subjects. My optionals were public Administration and Malayalam Literature.The interest towards creative writing finally gave me a command over my mother tongue. As for Public Administration I erroneously opted for it when I scrolled down the online application form. I opted for Malayalam as my medium of writing and Public Administration as my optional. For writing the answers, I chose my own way of writing including my personal opinion in case of opinion-based questions. I almost diverted from the pattern of answer writing, especially in general studies and public Administration; I studied or prepared answers for mains and gave myself the freedom of deviating from the expected framework of answers. So after the exam I thought that I did some injustice to this exam and probably wouldn’t appear in final list. I started preparing for the next year. 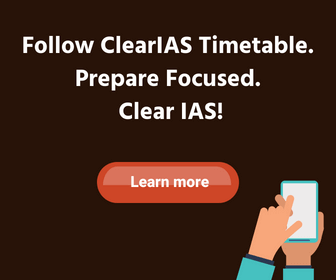 Clear IAS.com: Can you elaborate on your approach and preparation for Interview? To begin with, I prepared a list of things that were related to me, right from my educational background, job experience, meaning of my name etc. I also read some interview experiences of some previous winners which I had collected for last few years, whenever I saw any news about civil service results. I also prepared some information about Kerala, its culture my district, places of tourist importance and the area where I hail from. Later I prepared – Questions based on my Detailed Application Form (DAF) which we are submitting before the interview. Apart from these I saw one movie named Thanmathra (starring Mohanlal) where in the last scene, a boy with aspirations of his father goes for UPSC interview and gets an IAS rank. In the movie the boy used a mike to speak before the panel. However in the real life UPSC interview, I didn’t get one!! This was my total interview preparation, in theory, before going to my original interview. For a practical feel of it, I did 2 mock-interviews and later skipped mock interview of one premier institute because I thought that I was artificially creating some ways of answering. Moreover the tie and blazer caused suffocation. Also people who participated in these interviews said great things and made big-time presentations, something I was quite sure that I could not do. This was the reason behind I skipped the mock interview. ClearIAS.com: Can you share with our readers your UPSC Interview experience? Our readers would be really happy to hear those questions and your replies. important, potentially life changing moment. It was a five member board and Rajni Razdan, the chairperson, was not looking at me. When I wished her, she did not reply. Instead she showed me a photograph of me and asked whether that’s me or not. Later she put her head on arms and slept. I was shocked. It was first experience in my lifetime that, in a proud moment of your life, the interviewer or chairperson was not at all interested and was sleeping !!! Then they asked me to define article 19(1)A. Second member asked about importance of Treaties like SAFTA and reducing death penalty with life imprisonment, Contribution of Raja Ravi Varma and hierarchy of Chola kings etc. Third person asked me to recite 2-3 lines from Thirukkural as he thought that I was from Tamil Nadu. When I corrected him, he passed a comment “All Keralites are Madrasis”. He then asked me to recite some lines from any Malayalam poem. I recited Vallathol’s poem about love towards mother tongue and influence of other languages over your mother tongue. He asked me to tell the meaning of the lines in English. I translated it and he asked about my favorite novel, author and concept of catharsis in literature. Lastly he asked, “What is the population of the your panchayat, as you worked with several social initiatives in your area?“ I reproduced all the statistics I had learnt from our district handbook. The member was impressed and he asked about my role in national service scheme, contents of articles which I published etc. In between Rajni Razdan got a phone call and she attended it and typed something in laptop and again went for sleep over her palms. Then I realized that till now she was not sleeping but was silently watching me. In the interview, she gave good marks to me. Read Part 2 of this interview : Lipin Raj M. P (CSE 2012 Rank 224) UPSC Topper’s Interview – Part 2.